In Asian communities, Lunar New Year is the most important holiday of the year. 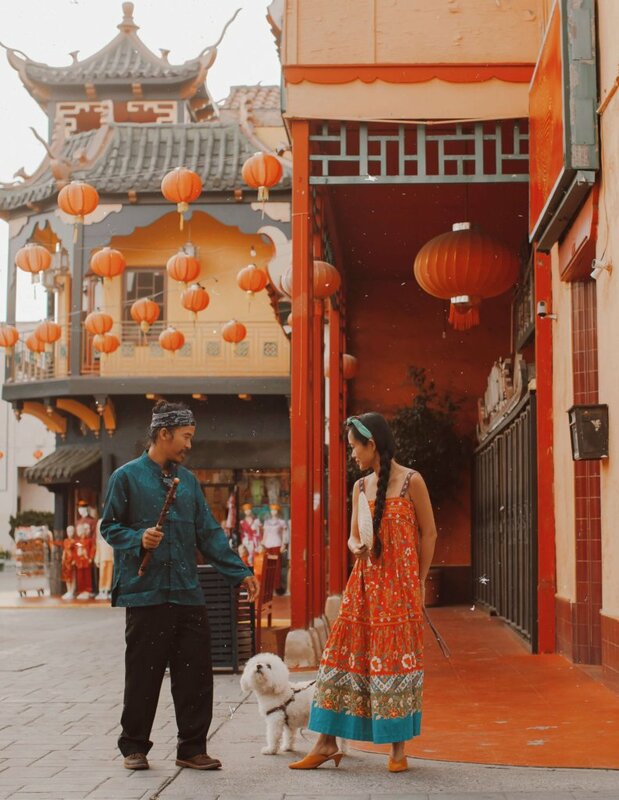 One of the most diverse cities in the world, Los Angeles celebrates the Lunar New Year with colorful parades and family friendly festivals. It is not only a time for family gatherings, but also a time for people to honor ancestors and give thanks. 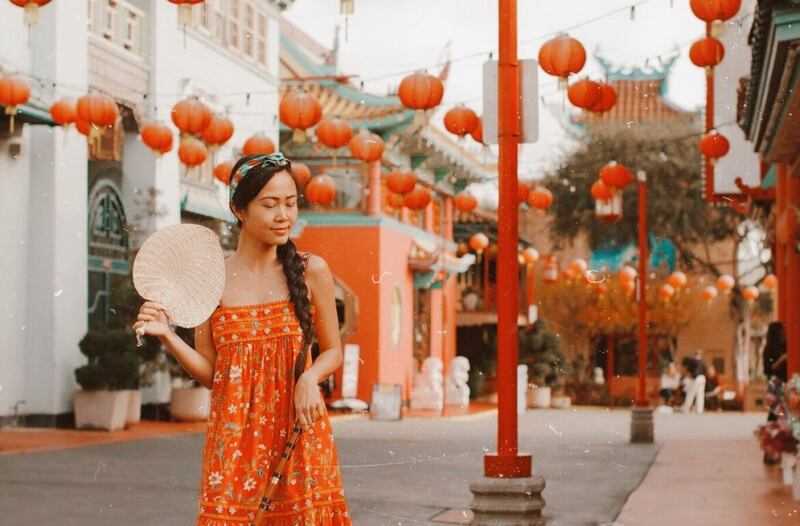 As the Lunar New Year approaches, a great way to experience the excitement of the holiday is visiting Chinatown and having a fun photoshoot with their beautiful lantern displays, neon lights, antique stores, and historic temples. 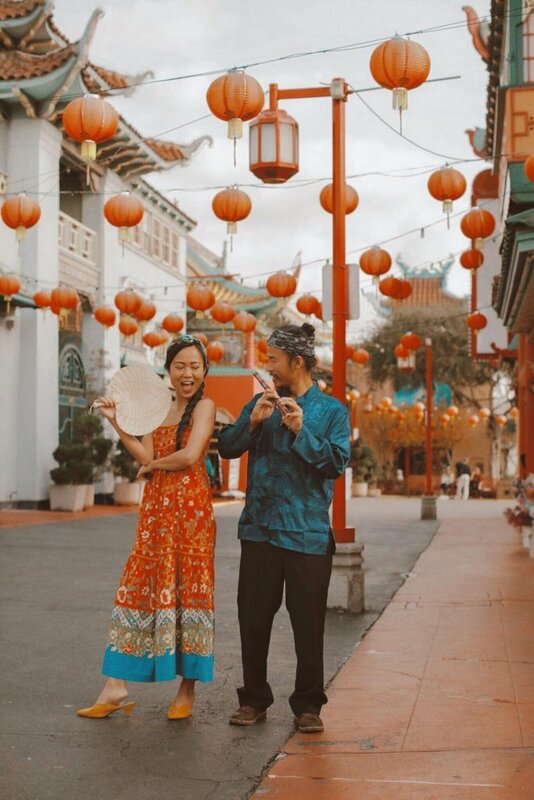 In this blog I’m sharing with you some of my favorite places to take pictures in LA Chinatown! 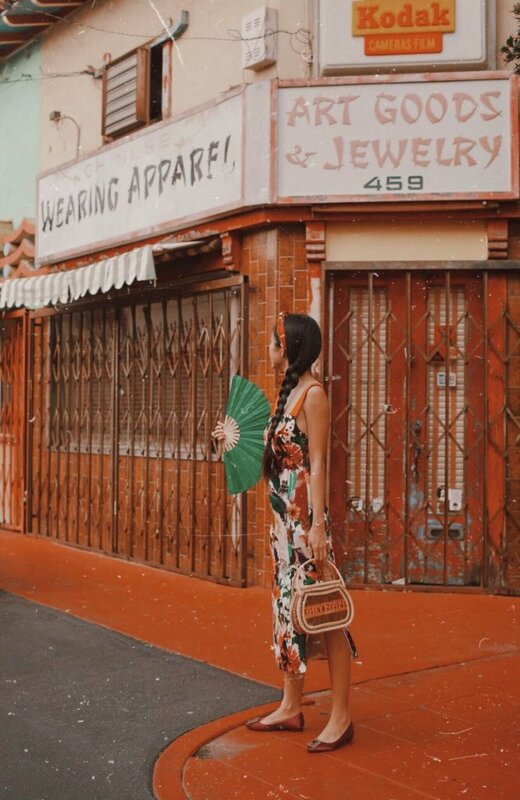 Located in Downtown L.A. near the city’s civic and cultural center, Chinatown is one of L.A.’s most popular tourist destinations. We visited around 8-10am on Wednesday when most shops weren’t open yet, so there wasn’t a lot going on. It was very quaint and quiet–with a few people strolling in and out of the area. I think it was a great opportunity for street photography. At the core of Chinatown is a historic area known as Old Chinatown that has been there for over 75 years. 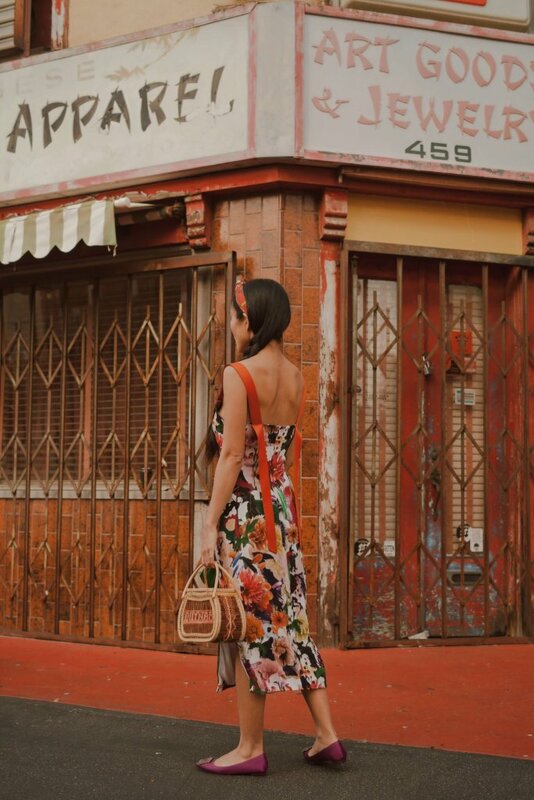 Whether you enter through the West Gate on N. Hill Street or through the East Gate on N. Broadway, exploring Chinatown is a delight for the senses. The East Gate (the Grand Entrance), known as the Gate of Maternal Virtues is the most picturesque. Entering the East Gate, you will find Central Plaza. Central Plaza was the first part of “New Chinatown” to be constructed and dedicated in 1938. It has also become known as “Old Chinatown,” being the oldest and quaintest part of New Chinatown. The buildings inside Central Plaza, with their characteristic sloped roofs, carved wood ornaments, and colorful facades, were inspired by the Hollywood version of Shanghai. 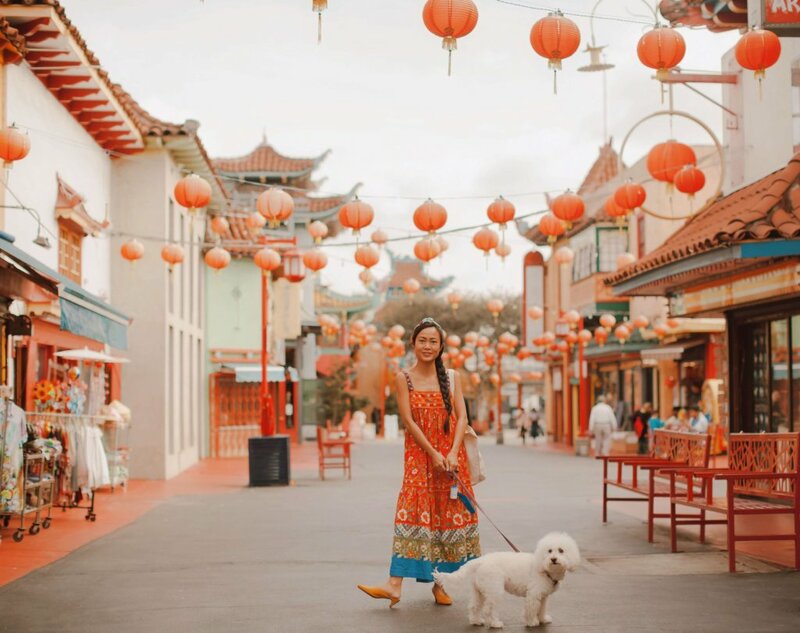 The numerous walkways and storefronts of Chinatown make the neighborhood resemble a movie set, depicting exotic cities of the Far East. Here you will photograph extraordinary architecture, intricate statues, and vibrant colors. 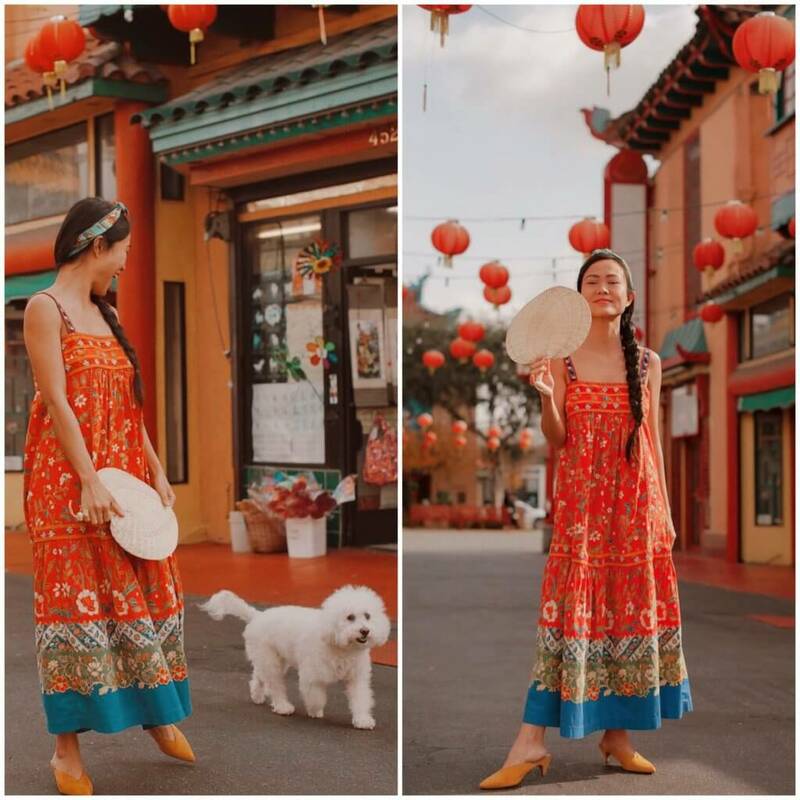 This neighborhood blends the eclecticism of the city with classic Chinatown charm! There was a slight breeze on the day of our photoshoot, so the paper lights that were strung between each of the buildings ruffled like paper does in the wind. Little shops were open and sold Chinese stuff, like: paper umbrellas, straw hats, sandalwood folding fans, colorful kites, and lovely hair pieces made of bright jewels and gems. 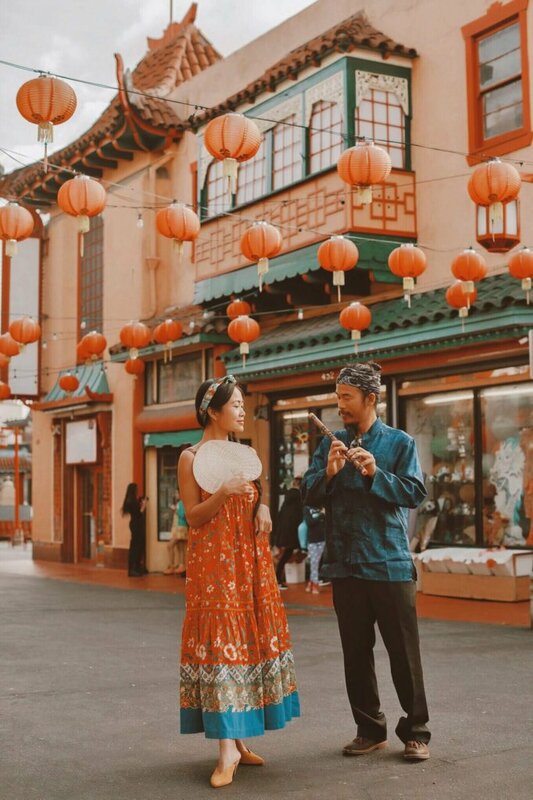 You may think you know exactly what you’ll find in Chinatown, but there is more than meets the eye in this classic LA neighborhood. What makes this great for photographers is that it creates an unpredictable environment with secret alleyways, hidden upstairs malls, and art galleries. And then, of course, there are the lanterns. This is a vibrant area full of galleries and the neighborhood hosts cultural events and festivals around Lunar New Year holiday. You can discover not only history but many hidden gems: herbal shops, antique stores, historic temples,…. 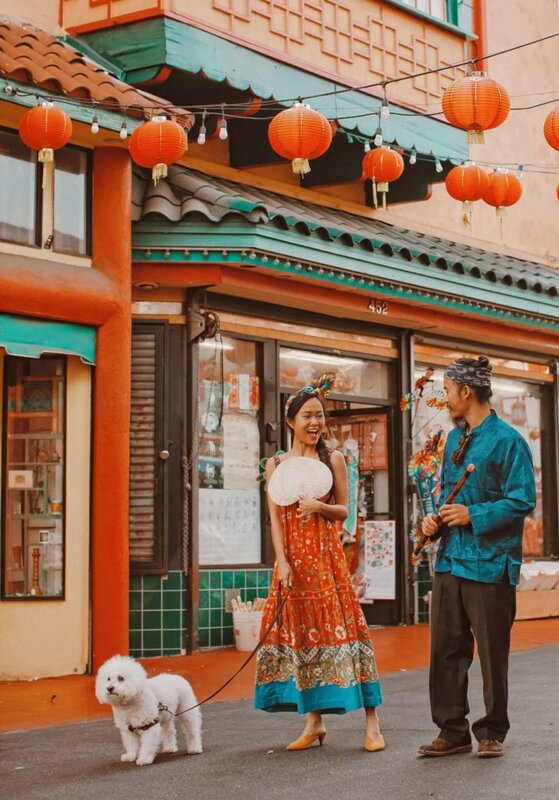 Or take a wander down Chung King Road, a pedestrian road that’s also a traditional Chinese market where you’ll find some of the best art gallery spaces in LA. It is a perfect spot for the family to soak in culture, food, and art. 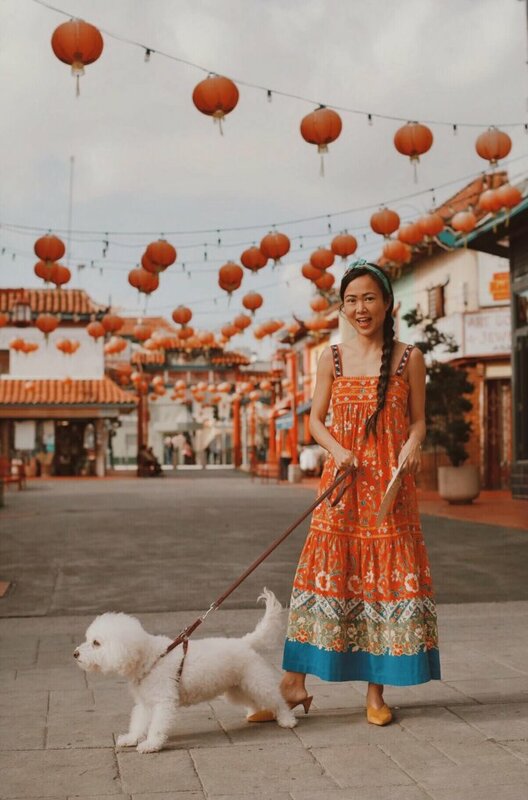 With Lunar New Year around the corner, It’s a perfect time to take your family for a walk around this lovely neighborhood. 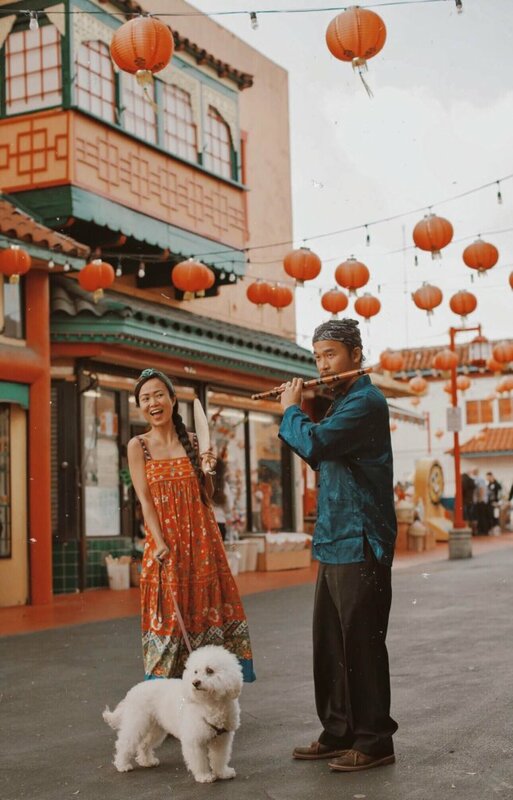 What’s your favorite undiscovered spot in Chinatown? Let us know in the comment section.